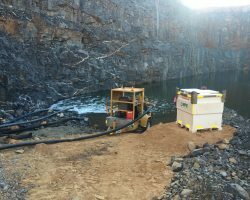 A custom designed pit dewatering package was installed by NPE technicians to ensure the water was moved and mining could begin on time. 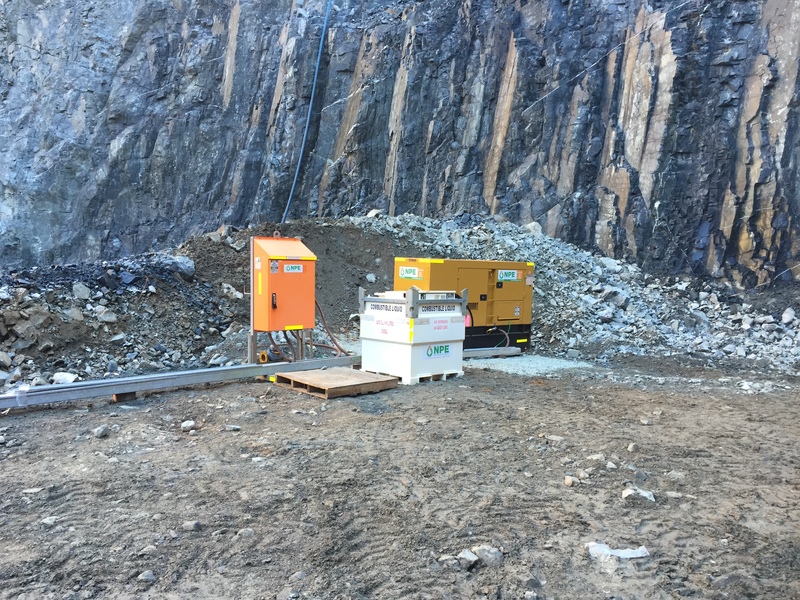 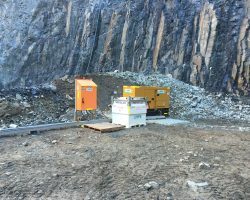 The 37kW pump was situated in the pit attached to a float with the generator, starter panel and fuel pod installed nearby. 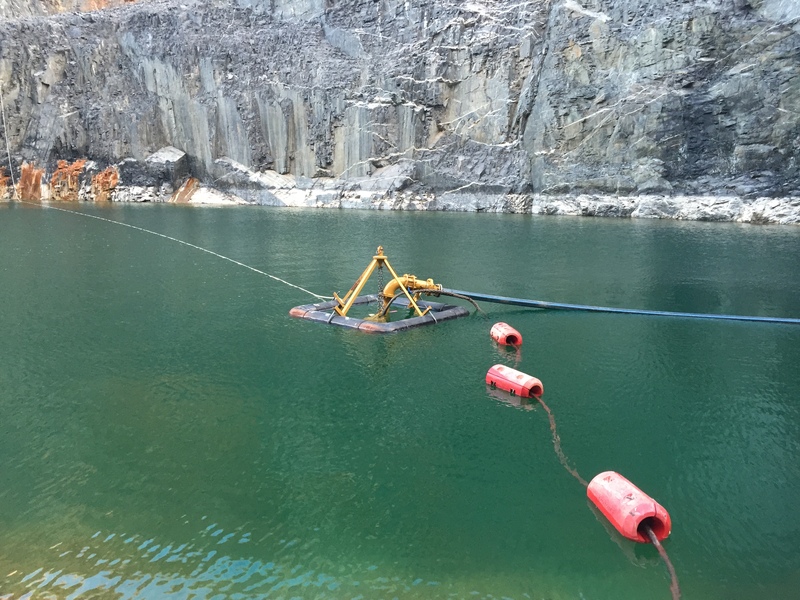 The water was pumped to a staging area which had a Pioneer PP43C21 diesel pump and 10,000 litre break tank. 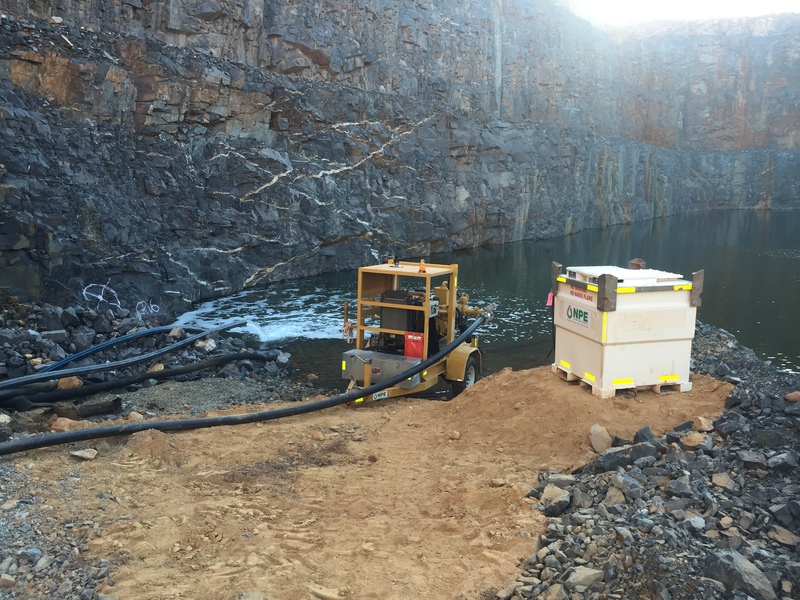 From there the water was pumped to a holding dam where another larger Pioneer unit pumped the water to another pit approximately 1km away. 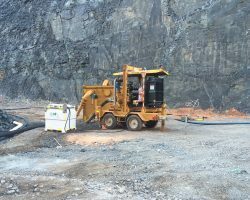 The client required water from a pit to be removed to allow for the startup of an underground project. 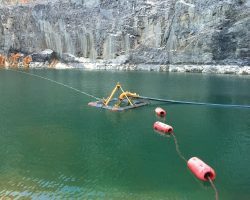 It was critical that the water was moved quickly to beat the deadline and to allow the underground project team to begin mining.